In the wake of the Cambridge Analytica-Facebook scandal, and a steady barrage of new data breaches, the public has been clamoring for tighter regulation of their personal information. At the heart of the tech industry, Bay Area residents are often the guinea pigs for startups, with unknown and unpredictable side effects. Proposition B would mandate that San Francisco create what supporters say would be the toughest data-protection policy of any U.S. city, and would go beyond California’s landmark Consumer Privacy Act. It would cover data collected both by government agencies and any private entity doing business with the city — from Facebook, Google and Uber, all the way down to a bike shop, toilet-paper supplier or street vendor. But the proposed Charter Amendment, which was put on the ballot by a unanimous vote of the Board of Supervisors, has split advocates and groups that are normally allies — and that otherwise enthusiastically support 99.9 percent of the measure. The opposition is primarily coming from journalists and First Amendment watchdogs. They’re concerned that a small subsection of the measure, only 36 words long, could water down San Francisco’s legendary Sunshine Ordinance, which mandates transparency in city government. They argue — and Peskin and the city attorney dispute — that the language could give the mayor and Board of Supervisors the power to restrict access to public records, meetings and ordinance oversight without voters’ approval. Notably, there’s been no vocal objection from Silicon Valley, which appears to be holding its fire for the implementing legislation should the measure pass. anticipating and mitigating bias in data collection and the use of algorithms. But exactly what the policies would look like is still unknown. Should voters approve Proposition B, the principles would simply guide the city administrator in writing a new ordinance that would be presented to the Board of Supervisors by May 31, 2019. Public hearings would follow before the board voted. “This proposition is just really a stepping stone,” said Sameena Usman, with the Bay Area Council on American Islamic Relations, or CAIR. The group has endorsed Proposition B, and is most interested in how any resulting privacy legislation would address surveillance. “When you have local cities that might be gathering this surveillance data and potentially sharing it with the federal government, that's very concerning,” she added, noting the Trump administration’s interest in tracking Muslims. Her hope is that Proposition B could lead to a separate surveillance ordinance. Data protection remains a major issue in the Bay Area. A May 2018 Silicon Valley Leadership Group survey of 1,843 voters in five counties found that 86 percent were concerned about the security of the personal and financial data they’ve given to companies or placed online. More than two-thirds have had their data compromised, and more than half of the respondents supported more government regulation of how companies use that information. Among all voters, 51 percent backed more regulation, 34 percent preferred about the same degree of regulation and 8 percent wanted less. Liberals were far more likely than conservatives to favor tighter regulations (57 percent versus 38 percent). Both about equally supported no change (38 percent for conservatives, 33 percent for liberals), while conservatives were six times more likely than liberals to want less government intervention (3 percent versus 18 percent). By comparison, a Reuters national poll in March found that 46 percent of adults supported increased regulation, 20 percent said current laws are sufficient and 17 percent wanted less regulation. 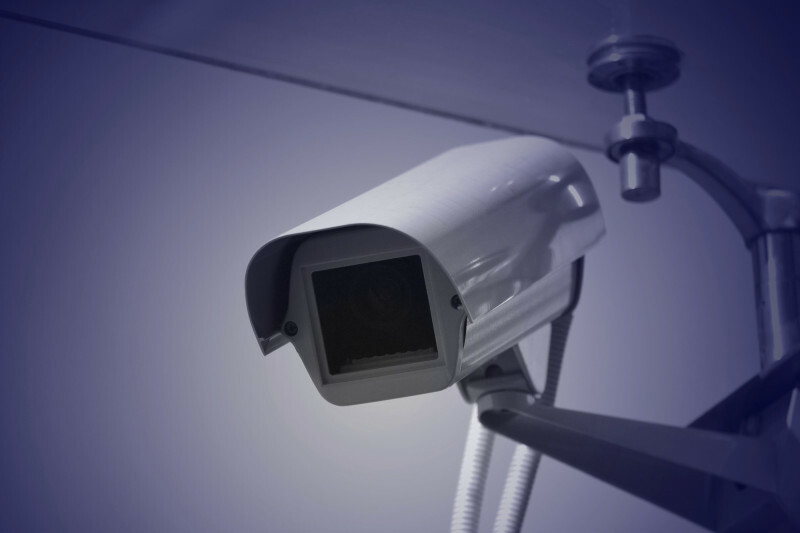 In the past few years, Oakland, Seattle and Chicago have adopted privacy programs. California legislators went further in June, passing the nation’s strongest privacy safeguards, which Gov. Jerry Brown signed. Taking effect in 2020, the California Consumer Privacy Act includes a European-style “right to erasure” of one’s personal information, and permits consumers to sue for damages after data breaches. But many advocates say more is needed. Crucially, he added, whereas the state privacy law allows customers to opt out of their information being sold, the principles in Proposition B allow opting out of that information being collected in the first place. Even if a consumer didn’t consent to share private financial or personal information, those companies would still be required to make their services available to San Franciscans. “Should Proposition B prove successful ... it could go along way towards informing the kind of a regulatory frameworks you could see emerging from other jurisdictions,” said Buttar, of the Electronic Frontier Foundation, who evaluated the measure while it was being drafted. The First Amendment Coalition and the Society of Professional Journalists Northern California support Proposition B’s intention to enhance privacy protections, but are campaigning to defeat the measure because of concerns about potential harm to the city’s voter-approved Sunshine Ordinance and its task force, an 11-member body charged with protecting the public’s interest in open government. They’ve been joined in their opposition by the League of Women Voters San Francisco and the San Francisco Labor Council, among a dozen other groups. The San Francisco Green Party, Republican Party and Libertarian Party are also opposed. Reporter Matt Drange has first-hand experience with its benefits. He said that while doing a story on gunshot-surveillance technology for the Center for Investigative Reporting he was able to easily get data from the San Francisco Police Department that was not forthcoming from other Bay Area cities. That fear refers to one particular sentence in Subsection (i), on the fifth page of Proposition B. Although the Sunshine Ordinance is not mentioned, it’s the reason those disputed 36 words were included, Peskin said. Most pressingly, one of the task force’s members must be nominated by New America Media, which was founded by legendary journalist Sandy Close and closed in November 2017. Until voters approve a change for that process, the seat will remain empty, hampering the body’s work. ... the Board of Supervisors is authorized by ordinance to amend voter-approved ordinances regarding privacy, open meetings, or public records, provided that any such amendment is not inconsistent with the purpose or intent of the voter-approved ordinance. “We were trying to do a solid for the sunshine advocates,” said Peskin’s aide Lee Hepner. But Sunshine advocates complained that they weren’t consulted on the wording. The phrase “intent and purpose” is central to the debate, said First Amendment Coalition Executive Director David Snyder. Peskin said worries about an attack on the Sunshine Ordinance are unfounded. He and the measure’s supporters, including the San Francisco Democratic Party and the San Francisco League of Pissed Off Voters, maintain that the language is clearly in support of open government. 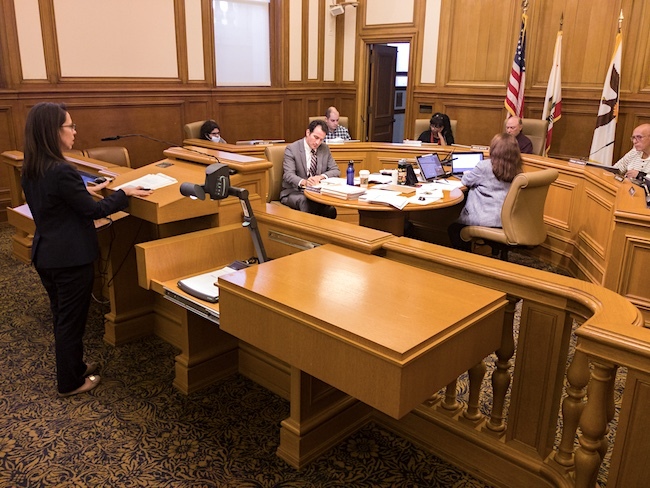 Peskin said the phrase “is not inconsistent with the purpose or intent of the voter-approved ordinance” means that no changes could be made to the task force, or the Sunshine Ordinance itself, that didn’t maintain its strength. “Any notion that public records laws may be weakened is not only legally impossible, it is a distraction from the important privacy rights that Proposition B would advance,” he wrote in rebuttal to the opponents’ ballot argument. But Drange said the journalists' organization was “caught off guard” in July when it learned how Proposition B might affect the task force. “It was already on its way to the printer,” Drange said. “The ship had sailed in terms of trying to get it altered or get it removed.” The Society of Professional Journalists already submits names for two of the 11 task force seats, and had been part of previous conversations seeking a fix for the New America Media vacancy. “It’s bizarre that no one in government let us know,” he said. Drange said there have been “attacks on the task force” in the past, and he fears a future Board of Supervisors could change its makeup for political reasons, or in other unproductive ways. “They could add a representative for tech companies,” he suggested. Task force chair Wolfe said they were “not notified at all,” and also learned out about subsection i when it was too late to suggest different language. “We had to find out from members of the public and from open government advocates,” he said. Peskin’s office also pointed out that the measure’s text was publicly available for 60 days, and notes the irony that groups focused on transparency didn’t take advantage of that window. The American Civil Liberties Union and the Electronic Frontier Foundation spoke with Peskin’s office during the drafting process but have taken no position on the measure. What may tip the balance for some who share concerns about governmental transparency but crave privacy protections is that Proposition B itself doesn’t change any laws. If voters approve, its impact would not be known until May, when the city administrator presents a fleshed out policy for supervisors to approve.